I can’t claim to know a lot about chess. I mean I know the basic rules, but put me up against even a semi-competent 6-year-old and I would probably struggle to hold my own. Ask me what a “Sicilian Defence” is and I would guess Vito Corleone’s attorney. Mention “Scotch Game” and I would assume you were challenging me to a round of “Who can drink more Glenlivet?” But as an outsider, I am endlessly fascinated by chess, in much the same way as I am fascinated by quantum mechanics. My rudimentary understanding of the subject gives me enough of an idea of the big, complex things to be intrigued and beguiled by them, but I can barely wrap my head around their intricate workings. “But, contrary to popular belief,” Kasparov added, “Chess was never part of the education system in the Soviet Union. Soviet authorities had no interest in actually using chess – which I believe has the unique ability to enhance cognitive skills of kids – to use this in the schools, because all they wanted was just to find talent. So it was an investment to make sure that the top tier of Soviet chess would be always reinforced by new talent coming from the bottom of this pyramid.” Winning a game of chess became an end in itself. And it’s not difficult to see how that could happen. Satyajit Ray’s Shatranj Ke Khiladi (1977) is the story of two noblemen of Lucknow who are so consumed by the game that they fail to realise that Awadh has fallen to the hands of the British. And for all the fuss kicked up over the global political ramifications of the Fischer-Spassky match, wasn’t it much ado about almost nothing? The Cold War would continue for another 19 years. Bobby Fischer, who suffered from various psychological issues including paranoid personality disorder, would refuse to defend his title, which would go to a new Soviet Grandmaster, Anatoly Karpov, who would remain world champion for another decade. Nothing really changed. Despite the historic defeats and victories on the chessboard, the real world takes its own course. And this, it would seem, is what many also believe about the judicial system. 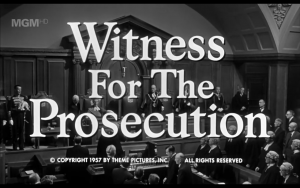 Billy Wilder’s Witness for the Prosecution (1957), based on a play adapted from Agatha Christie’s short story of the same name, is a classic that is considered one of the greatest legal dramas ever made (placed 6th on the American Film Institute’s List of Top 10 Courtroom Dramas), which is a well-deserved accolade, given its clever plot, tight pacing, sharp dialogue and some truly memorable performances by the actors. But what really stayed with me is what the film seemed to say about the relationship between the trial process and justice. Before I move on to the plot, I should warn you that the film hinges on a major twist that the filmmakers were very careful not to divulge. In fact, at the end of the film, a voice-over says: “The management of this theatre suggests that for the greater entertainment of your friends who have not yet seen the picture, you will not divulge, to anyone, the secret of the ending of Witness for the Prosecution.” It is said that Marlene Dietrich may have lost out on an Oscar purely because of the studio’s unwillingness to campaign for her lest they inadvertently give away the ending. Of course, this was much before the days of the Internet – a simple Google search for the film will lead you to hundreds of pages that will readily reveal the ending. This is also before the “twist ending” became a gimmick for every other movie (M. Night Shyamalan, I’m looking at you). The film is now almost 60 years old – whatever novelty the surprise ending once had has surely been around for long enough for us to be able to talk about it. But, if you haven’t seen the film yet and feel that spoilers will completely destroy the film for you, consider yourself warned. Go watch it, come back and read the rest. Sir Wilfrid Robarts (Charles Laughton) is an accomplished and respected barrister who has just recently suffered a terrible heart attack. Despite the remonstrations of his nurse Ms. Plimsoll (Elsa Lanchester), he takes on a murder case that has been making the headlines in England. Leonard Vole (Tyrone Power), an unemployed young man, is accused of murdering Mrs. Emily French (Norma Varden), a rich older widow. He had befriended her hoping that she would some day lend him money to finance the mass production of a new kind of eggbeater that he has invented. While he had received no money from her when she was alive, Mrs. French has left him a large sum in her will. Naturally, this makes Vole the prime suspect. Believing him to be innocent, Sir Wilfrid agrees to represent him in the trial. Vole has an alibi – he was home with his wife Christine (Marlene Dietrich) at the time the murder is supposed to have been committed – and he is quite certain that she will testify to that fact. She has already confirmed the alibi in her statement to the police. However, when Sir Wilfrid interviews her in the hope of putting her on the stand as a witness for the defence, she turns out to be cold and completely unsympathetic to her husband’s plight. Christine is a German actress who had met Vole while he was serving in the Second World War. She reveals to Sir Wilfrid that she had only married him to get out of war-ravaged Germany, and that her marriage to Vole is actually void as she had already been married to another German man before she had even met Vole. Sir Wilfrid immediately decides not to put her on the stand and tells her that, by law, she cannot give incriminating testimony against her husband. However, during the trial he is shocked when Christine appears as a witness for prosecution. His objection is overruled when it is proved in court that since Christine was already a married woman when she married Vole, she cannot legally be considered his wife – spousal privilege does not apply and she can testify against him. (The law of spousal privilege no longer applies in quite that way in England. While a person cannot be compelled to testify against her/his spouse, s/he has a right to testify if s/he so wishes.) Christine testifies against Vole, denying that he was with her at the time of the murder and contradicting all the statements made in his defence. Vole’s case seems to be completely destroyed. However, just when all hope seems to be lost, Sir Wilfrid gets a call from a woman who, for a substantial sum of money, hands him a bunch of letters written by Christine to a lover, Max, in which she has written about her plot to destroy her “husband”. Armed with this fresh evidence, Sir Wilfrid discredits Christine’s testimony, proving that she has perjured herself. The jury acquits Vole. However, as promised, there is a twist in the tale. It turns out that Christine is actually very much in love with Vole. Realising that “no jury would believe an alibi given by a loving wife”, Christine had decided to become a witness for the prosecution and orchestrate a chain of events that would lead to the jurors believing that she had lied under oath to get her husband in trouble. There was no Max – she had painstakingly written fake letters to an imaginary lover to fool the court. The woman who had given the letters to Sir Wilfrid had, in fact, been Christine in disguise (a truly stunning performance by Marlene Dietrich and a fantastic job by the make-up artist; I genuinely had no clue it was her the first time I watched the film). She reveals all of this to Sir Wilfrid after the trial is over along with the chilling fact that Vole had murdered Mrs. French. However, her dreams of reuniting with her “husband” are dashed when Vole, pleased with his acquittal and newfound wealth, tells her that he is leaving her for another woman. When she threatens to go to the authorities and confess to her perjury, he laughs it off, saying he can’t be convicted for the same crime again (we should take another quick moment to note that double jeopardy doesn’t quite work that way – cases can be reopened on the basis of fresh evidence). Enraged at her lover’s infidelity, Christine uses the knife that had been used to murder Mrs. French, to stab Vole to death. When Ms. Plimsoll declares, “She killed him,” Sir Wilfrid corrects her, “She executed him.” As the film comes to an end, he decides to represent Christine in her murder trial. 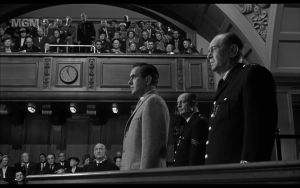 At the time Witness for the Prosecution was made, the penalty for murder was death (capital punishment for murder was abolished in England in 1965), and so, the film seems to suggest that justice has been done. It also seems to state that the legal system had nothing to do with it. True justice, it seems to say, is an independent concept that stands removed from the process of arriving at justice. The idea that justice by its very nature is a divine, elevated concept marred by flawed and ineffectual corporeal legal systems is not a new one, and is reiterated time and again in various works of fiction. A good example is Graham Greene’s short story The Case for the Defence. A man accused of murder is acquitted because he has an identical twin brother and the eyewitnesses cannot be certain which twin they saw at the scene. But as the brothers walk out of the courthouse, one of them is run over by a bus and dies instantaneously. Although we never really find out whether this was the twin who committed the murder, the narrator hints at an act of divine vengeance. But, once again, the larger point here seems to be that judicial mechanisms are easily manipulated and true justice can only be achieved outside the boundaries of law. Films and literature often view the trial process like a game of chess, a self-absorbed exercise in futility with strict rules, prone to becoming an end in itself rather than a means to achieve justice. Like chess, the trial becomes nothing more than a competition of wit and cunning, in which clever practitioners can carefully plan their every move, employing every devastating tactic, strategy and gambit in their arsenal to foil their opponents and achieve victory. The players in the system tend to lose sight of the forest for the trees. The trial itself becomes more important than dispensing justice. You can call this outlook cynical, but is it entirely untrue? I’m not sure it is. But what does this say about the filmmakers’ and perhaps the audience’s perception of the judicial process? Is it that courts of justice really have no agency at all? That the trial is a sham, a sideshow, so much window dressing and going through the motions? Is it, like the Shakespearean idiot’s tale, full of sound and fury signifying nothing? 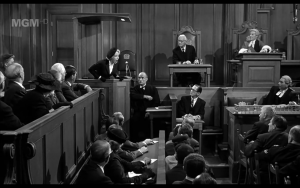 In Witness for the Prosecution, “justice” is delivered through the stabbing hand of Christine, an extra-judicial act of vigilantism that, in the eyes of the film, is not criminal but necessary. In The Case for the Defence, “justice” is seemingly completely beyond the realm of human action and has to be meted out by an act of God. It betrays our weakness for an individual mover and our suspicion of faceless systems. It’s why in our popular fiction, heroes are godlike and government agencies are Kafka-esque. In her final act of vengeance, Christine is Batman, dispensing justice where the legal system failed, while Sir Wilfrid is Commissioner Gordon, a part of the system who watches helplessly as it fails the cause of justice and then decides to work from inside to help the hero. While speaking about the Fischer-Spassky match of 1972, Garry Kasparov said, “Bobby Fischer was a great player, but he was like a lonely warrior, a guy from Brooklyn taking on the mighty Soviet Chess School. […] Mathematically speaking, the chance of finding Bobby Fischer was miniscule, so Fischer was some kind of miracle while the almost assembly line of champions in the Soviet Union was quite predictable because of the massive investment of the state into the chess infrastructure.” A lonely warrior triumphing over a larger system. Doesn’t that narrative sound familiar? It would seem that, like the trial, the game of chess, with its cold, technical precision and its self-contained, self-regulated mechanism of cause and effect, is not immune to the influence of the fairy tale flights of fancy of the outside world. And even on a square board, it is possible to come full circle. 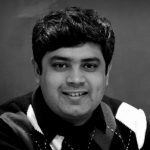 Sayak Dasgupta is Senior Manager - Content at MyLaw. Before joining MyLaw, he worked at Khaitan & Co, New Delhi in the Corporate, M&A and Private Equity team. Sayak is a voracious devourer of pop culture, food and the occasional humble pie. Big fan of your posts. Though I won’t agree with your analogy of Christine as Batman and Sir Wilfred as Commissioner Gordon. For one, Batman would never consciously do the wrong thing, which was Christine did here. She knew her husband did it and she still defended him. In the process, She subverted the route of justice and actively denied the courts to give out the same. Similarly, Commissioner Gordon was helpless and believed in whatever Batman was doing. Here, Sir Wilfred had no clue. He was working within the system and consciously doing the right thing until in the end he discovered he had fought the battle for the wrong side. Gordon would never do that. I would like to recommend you watch a movie called “Kanoon” starring Ashok Kumar and Rajendra Kumar. Would love to see your post on something like that.